Earlier we have discussed several times about Nmap. 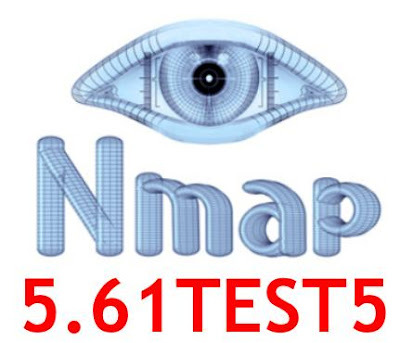 After 2 months of hard work with Nmap 5.61TEST4 finally the developer has announced the availability of Nmap 5.61TEST5. This release has 43 new scripts, including new brute forcers for http proxies, SOCKS proxies, Asterisk IAX2, Membase, MongoDB, Nessus XMLRPC, Redis, the WinPcap remote capture daemon, the VMWare auth daemon, and old-school rsync. Better check that your passwords are strong! Some other fun scripts are nat-pmp-mapport, asn-to-prefix, url-snarf, and http-auth-finder. See the changelog entries below for a full list with descriptions. This release also incorporated thousands of your OS detection and service detection submissions, dramatically improving the databases. The IPv6 OS detection system became smarter as well. And aslo as incorporated a new "nsock engines" system which improves performance by using advanced I/O APIs (such as epoll on Linux) rather than always using select.